First and foremost we want you guys to know that the website has been updated, and 99% of the new gear is available for you to view, and purchase. Some stuff is still coming through the door, but as of right now we have launched the 2014 gear! As most of you know, HayDays 2013 is exactly one week away. September 7-8th. We have a ton going on during the show, but want to make sure to extend a little extra something special to you guys on SNOWEST, along with our loyal customers. We will have 5"x7" postcards at HayDays with details on how to get a FREE GIFT! Along with this free gift, you will then be entered into OVER $1000.00 Dollars of Prize Giveaways! 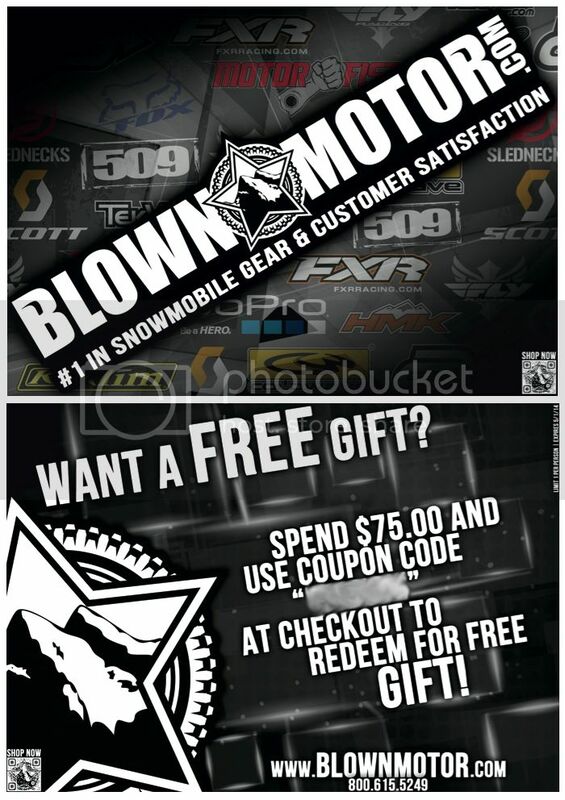 The postcard will instruct you to enter a product code on your next purchase at www.BLOWNMOTOR.com over $75.00 (Online Purchases Only). Once you do that, you will immediately receive a free gift with that shipment, and then be automatically entered in to win some of the following gear. The drawings for these items will be held at the end of September, and we will let you know who won via a post, and also send out an individual email to those winners. And of course we will cover shipping to wherever you are! And, if you forget to make your purchase of $75.00 in time for these drawings, no worries you will still get your free gift up until 5/1/14 with any applicable purchase. THESE ARE WHAT THE POSTCARDS YOU ARE LOOKING FOR LOOK LIKE! 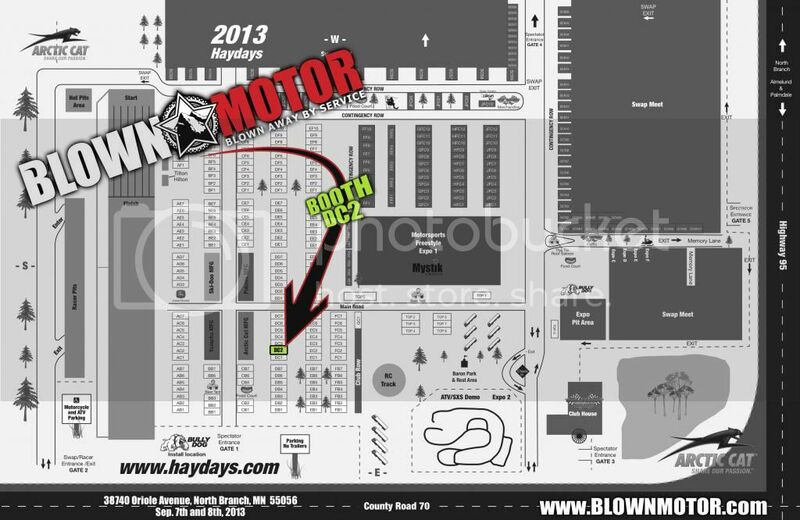 YOU CAN FIND US HERE AT HAYDAYS! Carrying and Stocking the top brands in the Industry! Klim, MotorFist, 509, BCA, TOBE, SnowPulse, Fly, HMK, and many More! Last edited by Blown Motor; 08-30-2013 at 03:44 PM. Are there any recent Blown Motor giveaways?